Are you on the 4th, 5th or 6th grade of medical studies? Are you interested in ultrasound diagnostics? You need an occasion to use your knowledge in practise? And do it in the new, inspiring place with interesting peple? 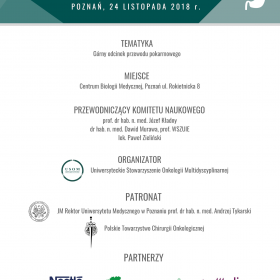 From 1st to 7th July we are giving you the possibility not only to improve your knowledge in the field of ultrasound diagnostic, but first of all to bring you an unique occasion to PRACTISE IT in the best clinics of Poznan University of Medical Sciences. - spend one week in Poznan and have almost 50 hours of practise and theoretic lessons in ultrasonography: abdominal, vascular, gynecological , endocrine and much more! - unique occasion to make new acquaintance and meet interesting people from other countries! - amazing social programme will give you an opportunity to know better the city of Poznań – the capital of Wielkopolska, mixture of new and old, full of old monuments and modern attractions, teeming with students and youth! 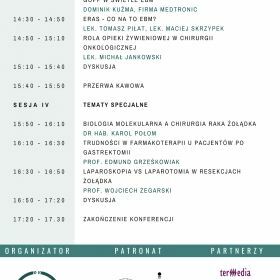 For more informations please follow our event: http://goo.gl/YzkV6X. We hope to see you soon in Poznań!